Almost three years ago, Anita Deutschle who is the front office secretary at OHHS, was hired. With her smile and pleasant attitude came a single candy dish on her desk. Over time, she added a few more bowls of candy and even some dispensers as her sweet treat collection grew! The colorful confections were a big hit among the staff and Anita was happy to supply them. 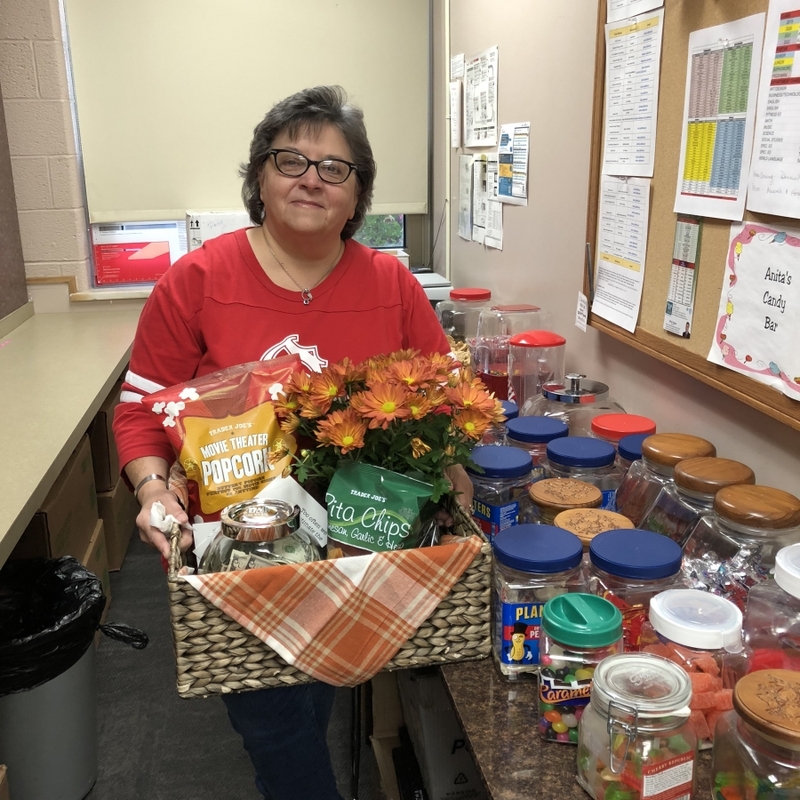 On Monday, October 29, the Highlander staff surprised Anita with a gift basket of thanks including her favorites: flowers and salty snacks. They value her sweet personality and candy bar! They also included a cash donation to help keep the candy bar stocked! Thanks Anita, for your wonderful candy bar which helps keep everyone happy during busy and stressful times.